Our Certified Service expert technicians can help make maintaining your vehicle simple and convenient. We are not only a one-stop destination for all your vehicle maintenance needs, but we also have convenient hours, competitive service & parts pricing and advanced technology to take the stress out of servicing your vehicle. From oil changes to tire rotations, brakes, batteries and multi-point vehicle inspections, we can handle it all. Simply click on the buttons below or call to schedule an appointment today. Central Chevrolet’s Service Department is here to help keep your vehicle running like a dream. We have over 50 years of experience serving drivers in western Massachusetts and northern Connecticut. Our team takes pride in our steadfast commitment to customer satisfaction on every job, big or small. Our service and maintenance technicians take the hassle out of caring for your vehicle. We are a one-stop destination for all your auto-upkeep needs. Our store is located just off Highway 5 and has convenient hours to fit your schedule. We offer a full range of services from experienced technicians at a price that’s right. Stop by for a quick oil change, get your fluid levels checked, or your tires rotated. If you need a little more service, we can adjust your wheel alignment and balance, flush out and replace your transmission fluid, or replace your brake pads. We are even equipped to fit your ride with our Auto Armor paint protection to keep it sparkling through any weather. Our technicians are ASE-certified and standing by to give you top quality GM-accredited vehicle care. Our online service appointment scheduler lets you put in your car’s information online and send it to us securely through a 128-bit encryption. Your information stays secure, and we have all the information we need to get started once you arrive. No need to fill out any extra paperwork! Just like our appointment scheduler, our parts department lets you order online to save you time and stress. Select your vehicle and look at specific parts, or browse through our list of commonly ordered parts. If we don’t have the part on-site, we can get it to you fast so you can get back on the road. 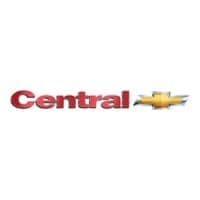 Central Chevrolet is your one-stop auto service department in West Springfield, MA.